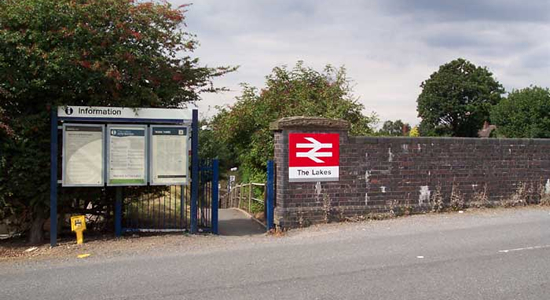 A relatively late arriver in railway terms, The Lakes opened in 1935 on the GWR North Warwickshire Line as 'The Lakes Halt' to serve the popular tourist destination of the lakes around Earlswood. 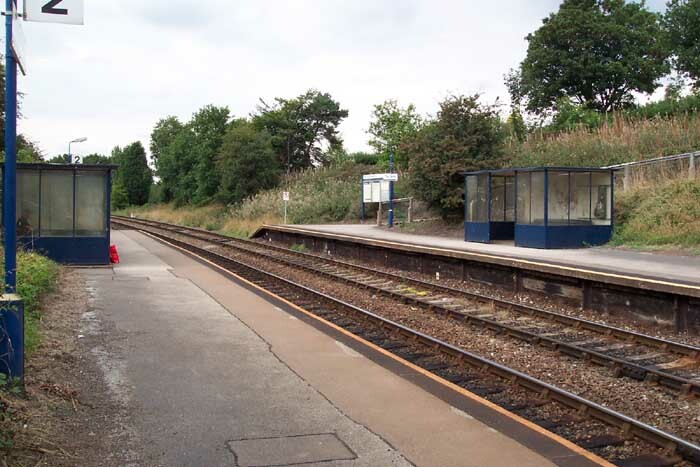 Things seem to have gone full-circle with this station as it was opened as an unstaffed halt and has returned to that status today. 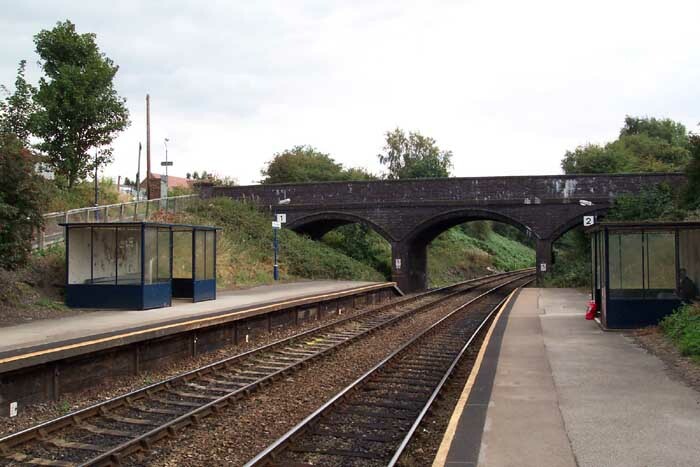 Above we see the station entrance off Malthouse Lane, September 2003. Above-left we are on the Birmingham platform (platform 2) looking back towards Wood Green Station through the Malthouse Lane road overbridge. Above-right we are still on platform 2 but this time looking towards Birmingham. Note the rather large 'bus shelters' - one wonders whether there has been a significant enough flow of passengers to justify their size since installation. 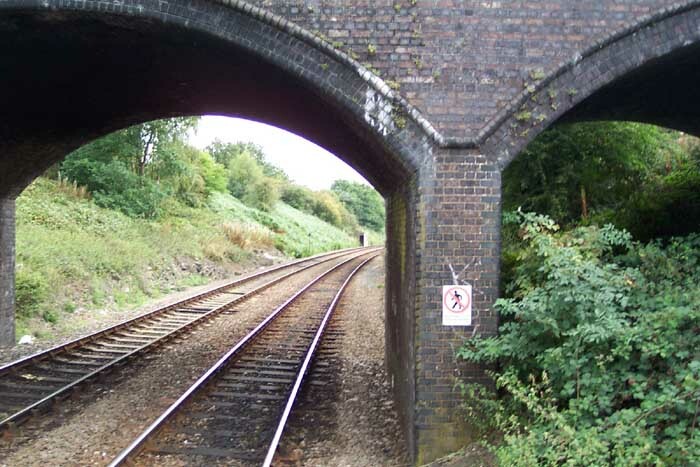 Above-left we are on the end of the Birmingham platform looking through the arches of the Malthouse Lane road overbridge in the direction of Wood End Station. 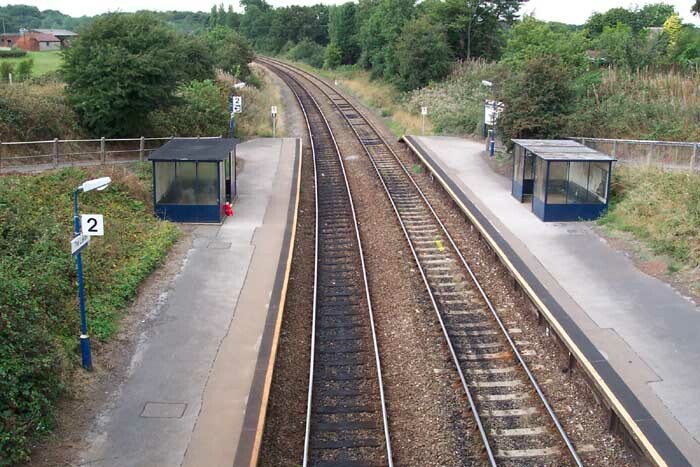 Above- right we are on the Malthouse Lane road overbridge looking down on the station in the direction of Birmingham - it is maybe none to apparent in this photograph but the platforms are strikingly short.